The Christmas cards are starting to arrive and I really wanted a unique way to display them this year. 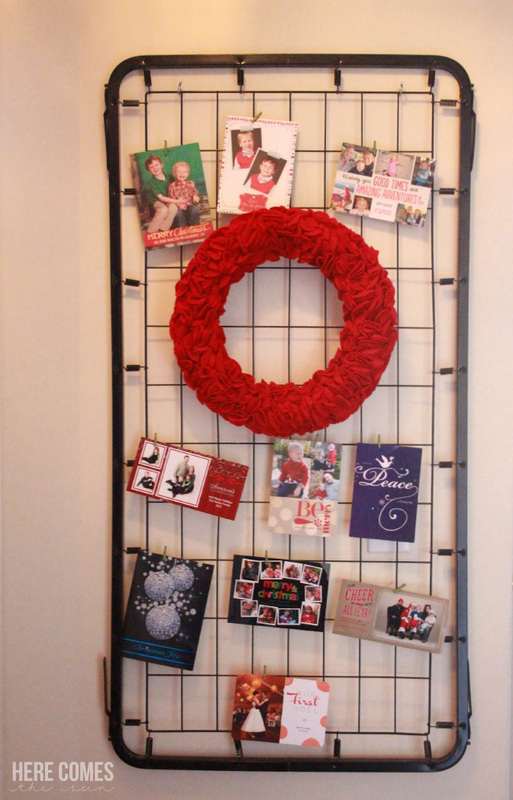 I created this Christmas Card Display out of an old crib spring. My little boy outgrew his crib a long time ago but I have saved pieces of it hoping to be able to reuse them somehow. I always pictured using the crib spring on the wall in my craft room. But wait… Oh yes, that’s right. I don’t have a craft room. So up on the wall it went as a Christmas Card Display. 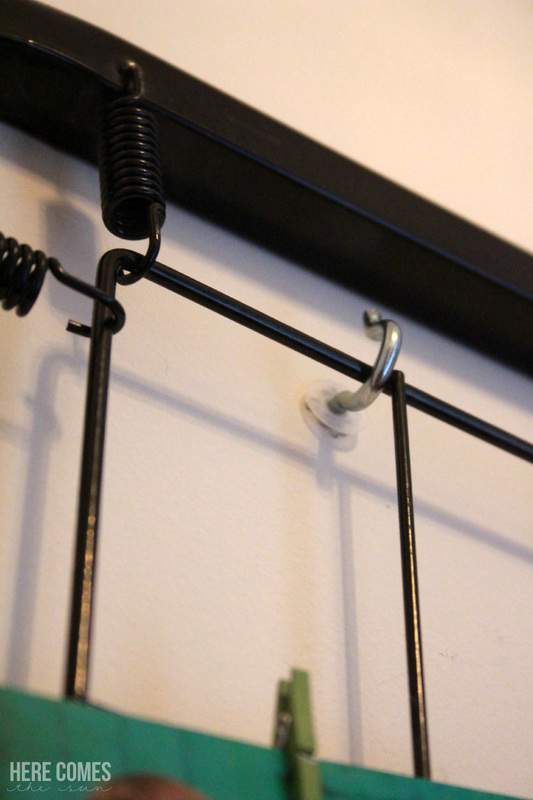 We hung it with some simple hooks. 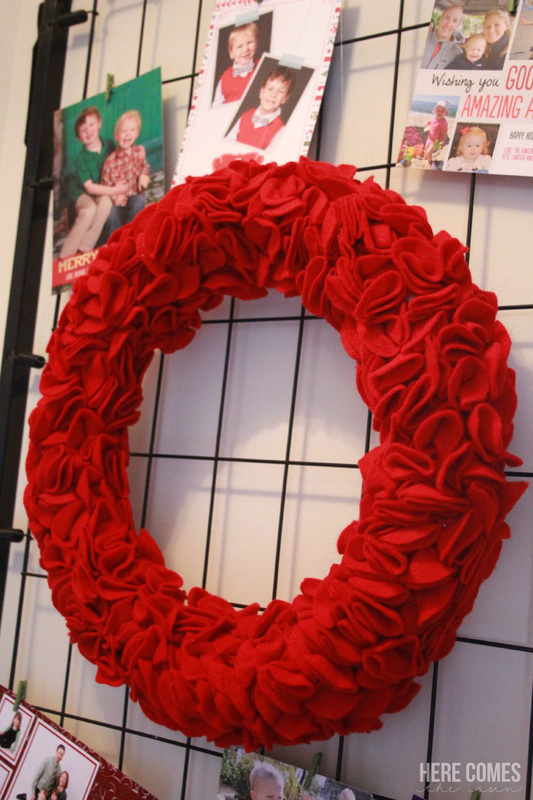 I added some color with my felt rosette wreath. 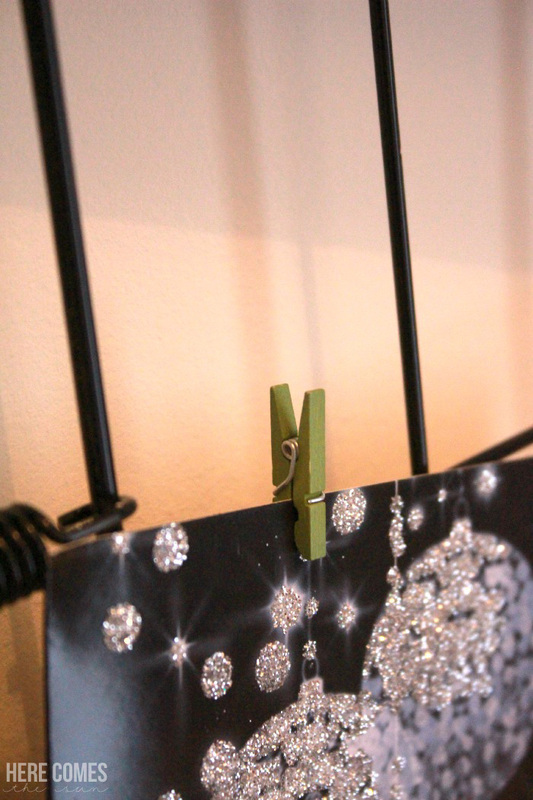 To hang the cards, I used these mini green clothespins. And when Christmas is over, I’m leaving it up and using it as a memo board. It is right by the front door so it is going to be perfect for all those papers that I need while running out the door in the morning! 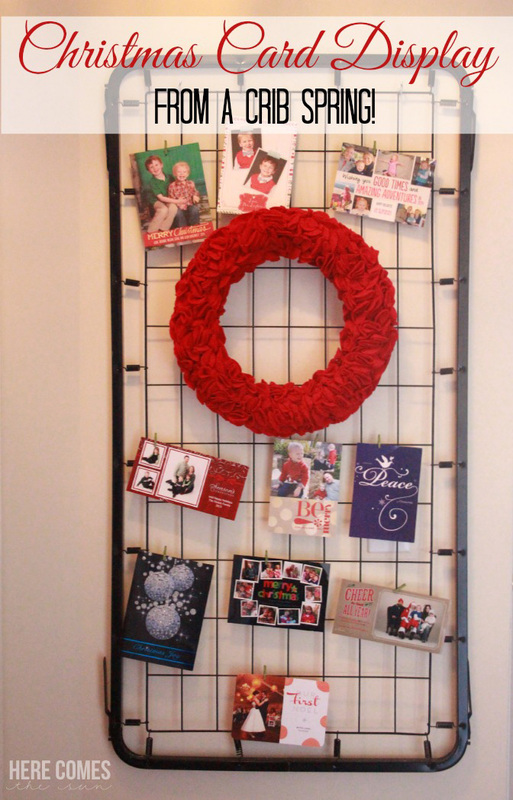 So dig that old crib out of the attic and you have a unique (and FREE) Christmas card display! This post contains affiliate links. By purchasing products through these links, you are helping to support this blog.